Is It Time for Your Child to Get Braces? 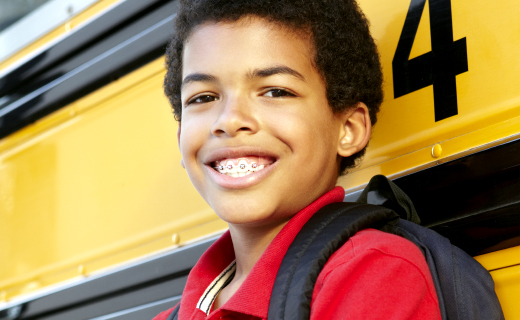 Braces have become a common part of childhood, but it’s not always easy to tell whether treatment can help your child. Now, you can get a straight answer on the right time to talk braces with the best orthodontist in The Village of Cross Keys. While braces are typically seen on kids in their teens, experts advise that children have their first orthodontic evaluation by the time they are seven years old. These evaluations are performed by dental specialists called orthodontists, who have advanced training in the straightening and alignment of teeth. Your child’s case and circumstances will determine the need and the time for treatment. To find the best orthodontist in The Village of Cross Keys, ask your child’s dentist for recommendations that fit your needs. While a child’s first orthodontic evaluation occurs at a very young age, treatment with braces or other dental appliances begins a few years later. Orthodontists want the child to lose almost all of their baby teeth and let most of permanent teeth emerge. This usually occurs between the ages of eight and 14. While the traditional timing is trusted by many, a growing number of orthodontists recommend an interceptive approach. This calls for using dental appliances at a much earlier age. The first phase of treatment occurs while the child still has their baby teeth. Then, the second phase begins once the permanent teeth have come in. Many of the best orthodontists believe that starting at such an early age can lessen the time that braces are needed by guiding the growth of teeth. Yet others who opt for traditional timing think it extends total treatment. But since the course of care depends on the case, let your child’s orthodontist determine the best time for treatment.